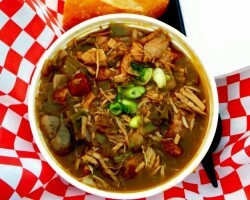 LouZiana Food Catering is so proud of their Cajun heritage. They decided to open a Chula Vista catering service business that brings the zest of New Orleans flavor and lifestyle to California. A family-run business, LouZiana Food caters anything weddings, birthdays, anniversaries and other parties - as long as it's a special event, they are dedicated to helping you make it even more memorable. They happily serve up all the classics, jambalaya, gumbo, crawfish (when in season), and even world-famous Cafe Du Monde beignets, doused in sticky, sweet powdered sugar. Homestyle Hawaiian is a cheap, local caterer that brings both unique and quality food to your wedding. Your friends and family will enjoy Hawaiian BBQ, poke, juicy fruits, and crispy coconut shrimp. Choosing the expert catering services in Chula Vista, TX, and the scrumptious menu of Homestyle will bring originality to your next corporate or special event. With three different locations in both San Diego and Chula Vista, you're sure to find the one that’s closest to you. La Taquiza has been preparing some of the best Mexican food to Chula Vista residents since 1999. 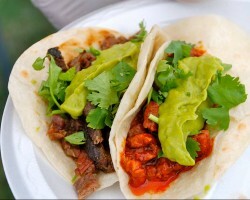 Always fresh and deliciously authentic, La Taquiza catering business is a local gem loved by most. 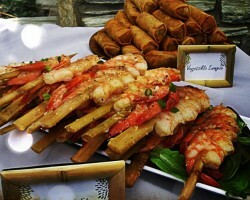 Hire their professional team of full-service caterers to serve your guests. They guarantee three hours of service at a standard price, but you may book more hours as you see fit. La Taquiza has many years of experience in serving weddings at an affordable price. For any bride and groom looking for catering that's more upscale and modern, Uni Sushi could be an excellent choice. 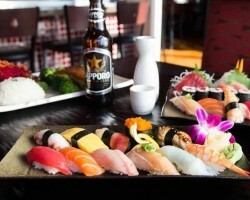 Uni Sushi, located in California, is known for its ability to cater to corporate events and weddings. Any couple hoping to have interesting menu for their guests, the light meal at sushi will help keep the party going and guests on the dance floor. Consider yourself lucky when you get the opportunity to be served by Uni Sushi. Pear Trees Catering is one of the top wedding catering companies in Chula Vista. They offer exceptional services and incomparable table setting design, adding an air of extravagance to your special day. 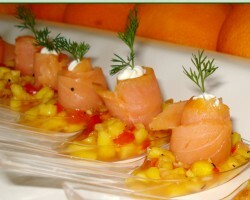 The company offers several options to its clients for dining service: buffet-style self-serving, party snacks or horderves to accompany a cocktail hour or a light lunch, as well as a formal sit-down dinner service. Their menus offer fine-dining options inspired by both French and Italian catering.